Stay Grounded with Cable, or Shoot for the Stars with Satellite? 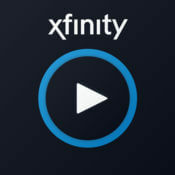 Xfinity is ideal for users looking to bundle. The packages are affordable and the internet speeds are faster over most of the coverage area. The stand-alone TV packages aren’t as great a value, though. DIRECTV is great for sports fans or people in rural areas. Satellite technology means you can get a signal basically anywhere, so you’re not limited by shoddy infrastructure. You also get access to amazing sports programming like NFL SUNDAY TICKET. Football fan? Learn about the best ways to watch NFL games. Don’t waste hours hunting for local providers. Let us handle the hard work for you. Data effective 11/7/2018. Pricing subject to change. Not all offers available in all areas. Let’s start with the important stuff: Which provider offers better packages? 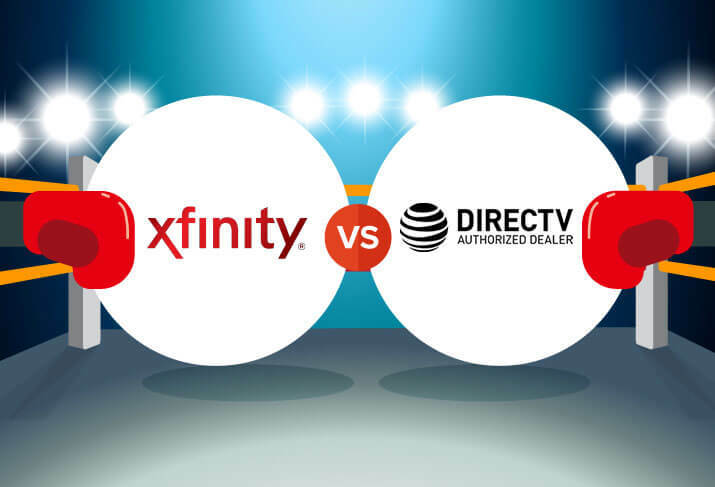 DIRECTV is the clear value winner, but Xfinity has some redeeming qualities of its own. DIRECTV packages couldn’t be more different than Xfinity’s. They start at a lower price, and—since this is satellite—there’s no variation in availability or price, regardless of where you are. East Coast, West Coast, or somewhere in the middle, you’ll get the same choices at the same price. The nearly nationwide availability is definitely the best part of satellite TV. When it comes to price per channel, all the DIRECTV packages offer great value, sitting at $0.23–$0.25. Well, except DIRECTV PREMIER, but it includes premium channels like HBO®, so we can forgive it. All this stands in stark contrast to Xfinity, where you’re paying a lot more per channel. Our favorite DIRECTV package is DIRECTV ULTIMATE. DIRECTV is the undisputed king of sports, with more sports channels and the outstanding NFL SUNDAY TICKET. Pro tip: you can get a free year of NFL SUNDAY TICKET when you sign up for select DIRECTV plans. 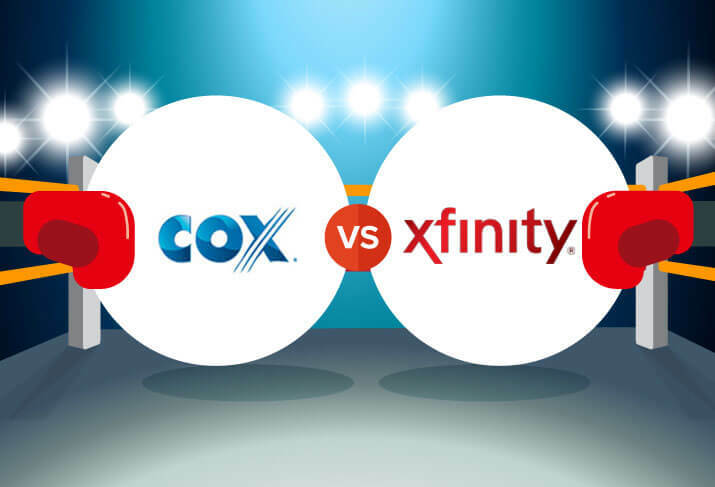 Xfinity plans are fairly straightforward, but you do need to keep in mind that packages and prices vary quite a bit depending on your location. While the packages themselves are priced reasonably, the price per channel isn’t that great. Xfinity has never offered a ton of channels to begin with, so when you look at some of the higher-priced plans, the per-channel cost really jumps out. The exception here is Digital Preferred, which makes it our recommendation. One interesting thing Xfinity does with its plans is give subscribers two agreement options: a month-to-month plan, or a one-year plan. Signing a year-long contract will shave $10 off your monthly price. And it’s only a year, compared to two for DIRECTV, so we think this is the way to go for most people. The X1 and Genie are fairly similar—they’re both solid DVRs with good user interfaces, along with average storage and simultaneous recording capacity. However, we give the nod to the DIRECTV Genie for two reasons: its lower price and increased storage. Learn more about each DVR with our in-depth reviews of the Xfinity X1 and DIRECTV Genie. These are both affordable boxes, but it’s hard to applaud the X1’s $10 monthly fee when the Genie is included in the already-low DIRECTV package prices. The Xfinity X1 system offers six simultaneous recordings, while the DIRECTV Genie can handle only five. That makes a surprisingly big difference. The lower this number, the more likely you are to run into conflicts when scheduling your recordings for the week. These days, with some DVRs (like DISH’s Hopper® 3) offering as many as 16 simultaneous recordings, we consider six to be the minimum for a good experience. Five is close, but it’s high time DIRECTV stepped up its game here. This one’s pretty straightforward—the X1 has 500 GB, while the Genie has 1 TB. That’s twice as much storage, which means twice as much content. Plus, you have fewer tough decisions about what to delete. Do you keep your favorite season of Game of Thrones stashed away or clear it out to make room for those football games you’ll miss? Yeah, more storage is better. All that extra storage means the DIRECTV Genie can hold twice as many hours of HD content—200 hours, compared to the X1’s 100 hours. That’s eight continuous days of watching for the Genie and only four for the X1. If you’re planning the ultimate binge-watching week, you’ll definitely want to go with DIRECTV. We all imagine ourselves watching TV in a nice, dark, secluded room with no distractions. The reality, though, is that you may have to deal with an actual person from one of these companies at some point. What’s that like? The big difference in installation here is the DIY option, or lack thereof. In some areas, Xfinity will send you a self-install kit and instructions on request, so you can set up your service on your own schedule (and skip the big professional installation fee). DIRECTV doesn’t offer a DIY option. Although, considering you’d have to mount a satellite dish, most customers are probably fine letting a pro handle it. DIRECTV beat out Xfinity in overall customer satisfaction in our annual consumer survey, but only by one spot. That’s not bad because you can expect about the same level of service from either provider. Both offer multiple ways to get help if you need it, whether you prefer online chat, a searchable support site, or a real person. Most issues are much simpler than they may seem, so we recommend starting with the support sites (Xfinity and DIRECTV) if you have a problem. Alright, let’s break it down real simple-like. What are the pros and cons? Internet service is basically a requirement of modern life. And fortunately, if you’re want both internet and TV, you can usually get a nice discount by bundling from the same provider. Xfinity offers a range of Double Play and Triple Play bundles for broadband internet, TV, and phone service. We like the X1 Preferred Double Play, with 220+ channels and 150 Mbps internet speed starting at $114.99 per month. DIRECTV customers can bundle internet with AT&T, DIRECTV’s parent company. You can choose DIRECTV + Internet, or DIRECTV + Fiber, depending on your location. We highly recommend the AT&T fiber service. You get upload speeds equal to your download speeds, and the plans are fast, with speeds up to 1 Gig. Our favorite bundle is DIRECTV + Internet 1000, which includes your choice of TV package and 1 Gig internet for an additional $80 per month. If you crave all the sports or live in a rural area, DIRECTV is the way to go. If you plan to bundle services and live in an area where it’s available, though, Xfinity may offer more value. Do you have experience with one of these providers? Leave us a comment and let us know all about it. What’s the difference between DIRECTV and cable? DIRECTV is a satellite TV service. That means the signal is beamed from a satellite in orbit to your receiver dish, which then sends it to your set-top box or DVR to be decoded. Cable signals move through copper wire underground. The actual practical differences aren’t huge. Cable may be more reliable in bad weather, but satellite is available basically anywhere with a view of the sky, so it just depends on what you want. 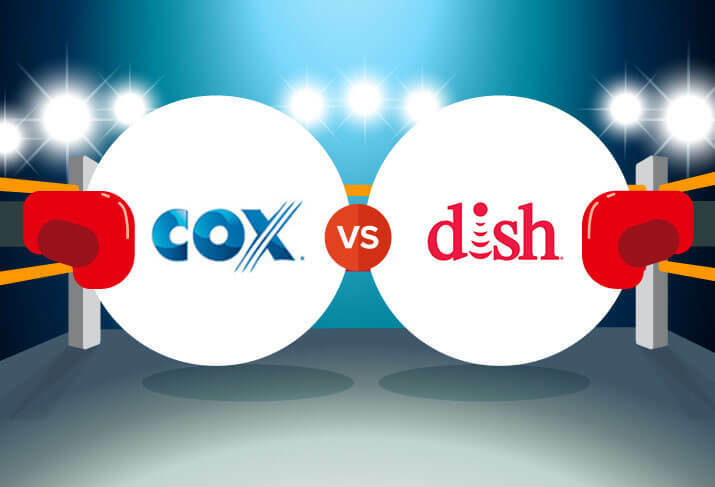 We wouldn’t choose one service over the other just because it’s satellite or cable. Is DIRECTV good in bad weather? With any satellite service, there’s a possibility for some weather-related interference during heavy rain or snow. This is just the nature of satellite. However, DIRECTV claims 99% signal reliability, and that’s pretty accurate in our experience. Is there a difference between DIRECTV and DIRECTV NOW? Yep, there sure is. 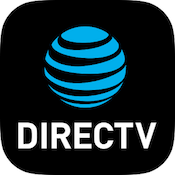 DIRECTV is a standard satellite TV service. DIRECTV NOW is a separate livestreaming service, similar to Sling TV or PlayStation Vue. You can subscribe to one without having access to the other.